Germany network agency Bundesnetzagentur approved the three telecommunications giants Deutsche Telekom, Vodafone and Telefónica to the auction. The last German spectrum auction raked in over four billion euros from bidders. Analysts have predicted only slightly higher bids this time around. 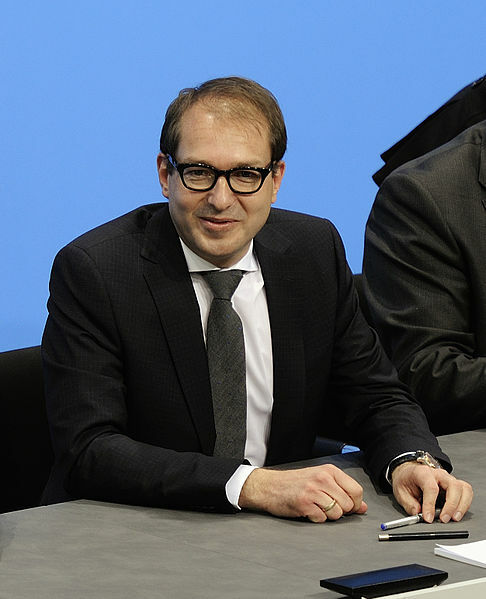 But German transport minister Alexander Dobrindt told Bild am Sonntag that telcos will vie for top bids. “I expect lively competition and revenue in the billions,” Dobrindt said. The auction is expected to continue up to several weeks. The Bundesnetzagentur is also auctioning off spectrum from the 900, 1500 and 1800 MHz bands. Dobrindt told Bild that the three providers bidding in the auction are required to invest in broadband infrastructure development. The Bundesnetzagentur has stressed the need for broadband expansion in rural parts of Germany, where coverage is lagging. The 700 MHz band is already used outside of Europe to target broadband to rural areas. “What’s clear is that in 2018 all the irritating network dead zones in Germany will be closed,” Dobrindt said. Earlier this year, the smaller German broadband provider Liquid Broadband withdrew its request to join the auction, citing the Bundesnetzagentur’s preferential treatment of large, establishment internet service providers. A few weeks ago, Liquid Broadband lost a lawsuit targeting the Bundesnetzagentur’s alleged barriers against auction newcomers. The agency set a minimum bid of about €1.5 billion for the entire spectrum on offer in the ongoing auction, and €75 million per block for the 700 and 900 MHz bands. Drossos says it’s in the interest of Vodafone, Telefónica and Deutsche Telekom to keep bids low. A newcomer in the auction would drive up bidding prices. Deutsche Telekom is partially owned by the German government. The European Commission announced earlier this month that it will propose measures on European spectrum policy as part of its Digital Single Market plan, including on broadband use of the 700 MHz spectrum band, particularly in rural areas. Drossos argues that the German auction will affect how 700 MHz is introduced around Europe, since the companies bidding are major players in a number of other countries as well. “Vodafone is present in 12 markets, Deutsche Telekom in 10, Telefonica only in three. Unless spectrum is set aside for new entrants in three operator markets to encourage competition Deutsche Telekom, Vodafone and Telefonica will not pay more than what they will pay in Germany to split the spectrum in three parts,” he said. Radio frequency spectrum is an essential resource for telecommunication services such as mobile telephones, TV and radio broadcasting, satellite and broadband communications. The digital dividend - spectrum that is freed as a result of the switchover from analog to digital broadcasting - has been hailed in Brussels as a way to boost growth in a highly profitable digital market and bring broadband to remote areas that may not have terrestrial networks. Germany's current radio spectrum auction began today (27 May) and could last up to several weeks. The European Commission announced that it will propose new spectrum policy in 2016.